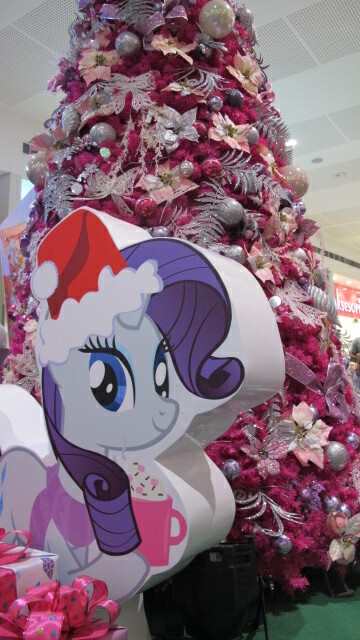 SM Malls truly never fail to cheer and amaze young and old alike with elegant and well designed Christmas displays and events. 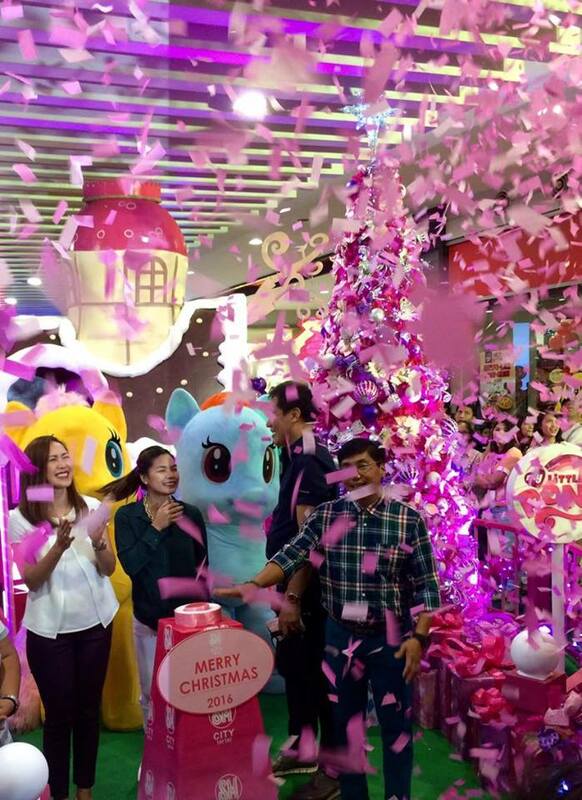 Last Sunday, November 6, Angono townsfolk once again were awed as they experienced a spectacular, oh-so-grand welcoming of the Christmas season in their friendly neighborhood mall – SM Center Angono with its My Little Pony theme for the Holidays! 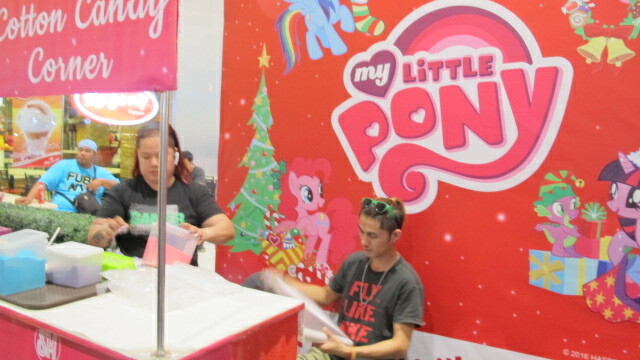 My Little Pony Magical Holiday! 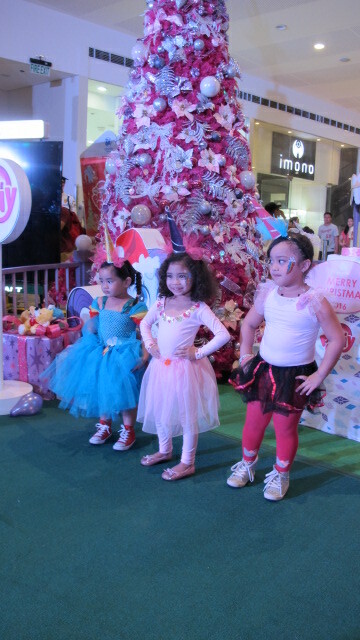 The event started with a fashion show by adorable kids in their super nice costumes. After the fashion show, formal welcome was given to officially start the program. 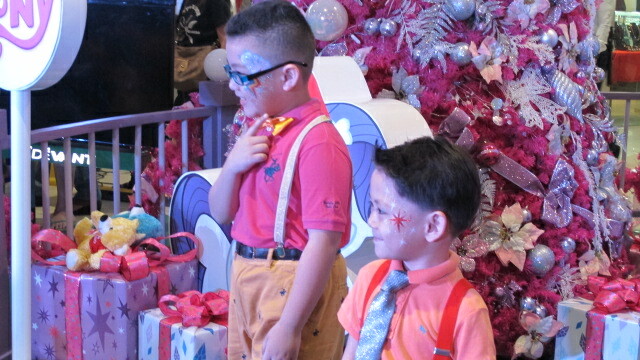 Everyone was encouraged to support SM Christmas Bears of Joy by grabbing the opportunity to buy a pair of bears for P200, then giving one of the bears to a less fortunate child via SM foundation – a nice way to make a difference this Christmas. 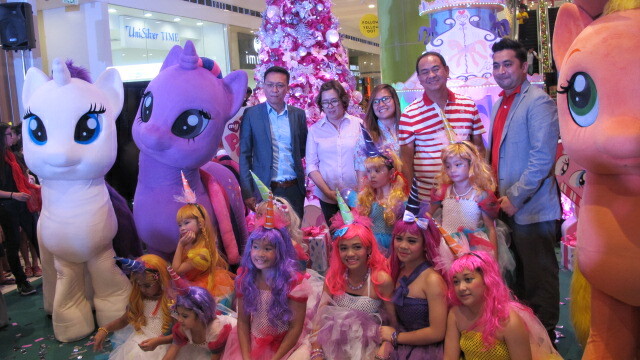 The event was graced by none other than Mayor Gerry Calderon and his family, who later officially “lighted” the mall’s beautiful centerpiece located at the upper ground floor. He expressed his thanks to SM, in behalf of Angono folks, for helping build quality lives and adding so much merriment to the holidays! 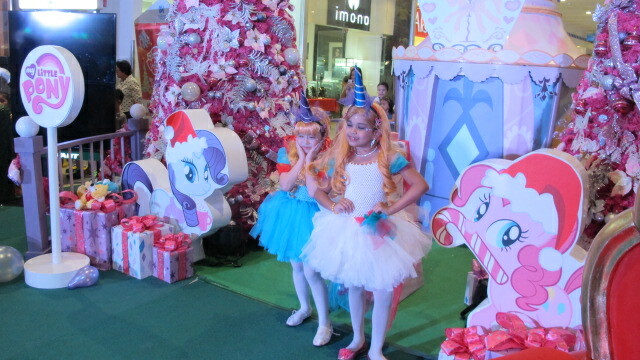 The Equestria girls wowed everyone with their superb dance moves in their uber cute costumes. 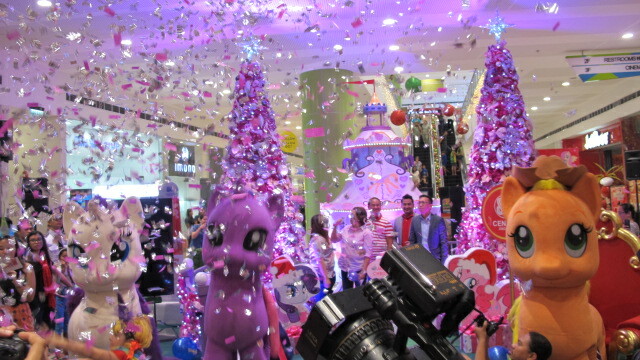 The ponies then made an appearance – Rarity, Applejack, Twilight Sparkle encouraging cheers and claps from excited audience. It was then time to light the centerpiece!!! Countdown begins and it rained confetti! To top it off, enter Mr. Santa! 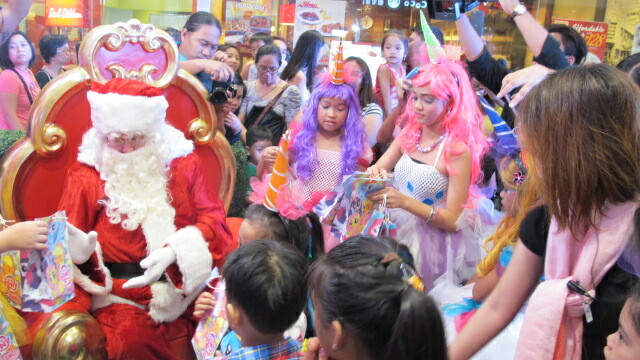 Mr. Santa giving presents to happy kids! 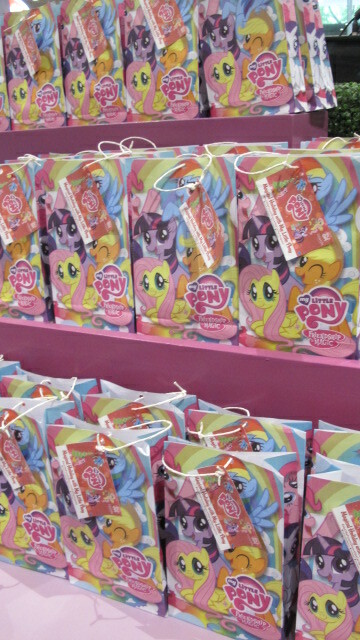 My Little Pony loot bags and giveaways! 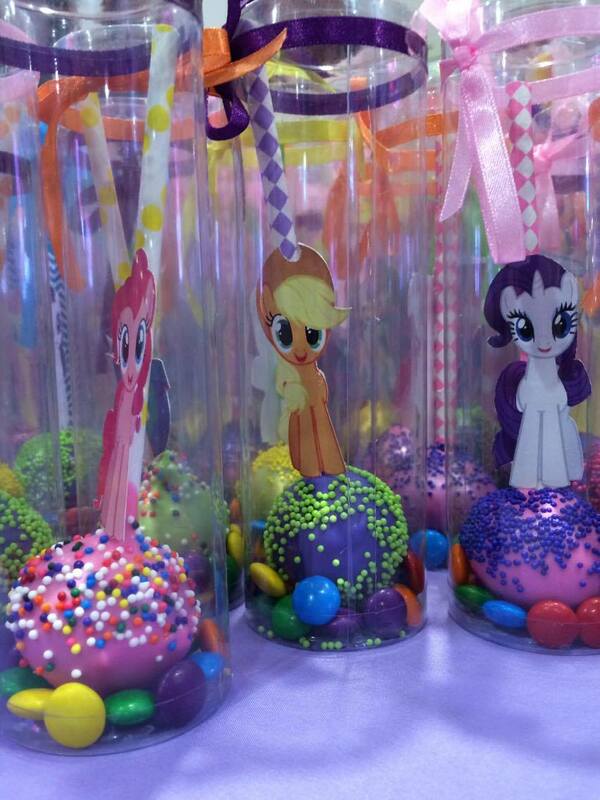 My Little Pony cupcake treats! This one seems happy with his face paint + take aways! The event wouldn’t be possible without committed people behind it all. Thank you and congratulations! SM Center Angono team who made this lovely event possible! 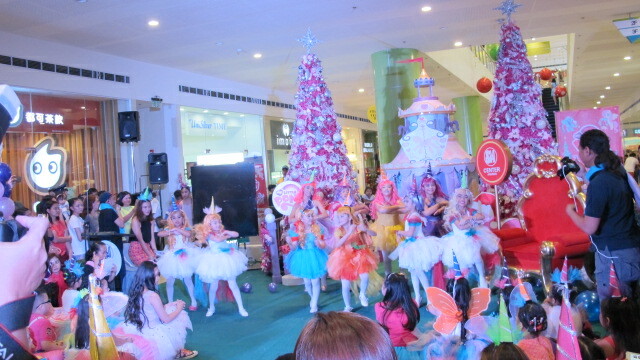 Come and visit SM Center Angono and see the spectacular Christmas display for the Holidays!! 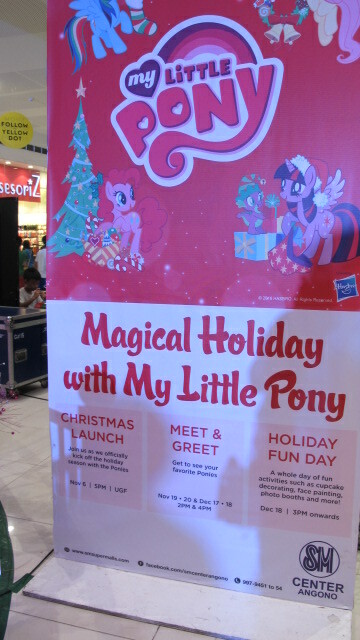 Experience a MAGICAL HOLIDAY with My Little Pony at SM Center Angono from November 6, 2016 until January 8, 2017. Pink, dainty and lovely display. Thank you SM for a grand, spectacular way to welcome the Holidays and celebrate the birth of Jesus! 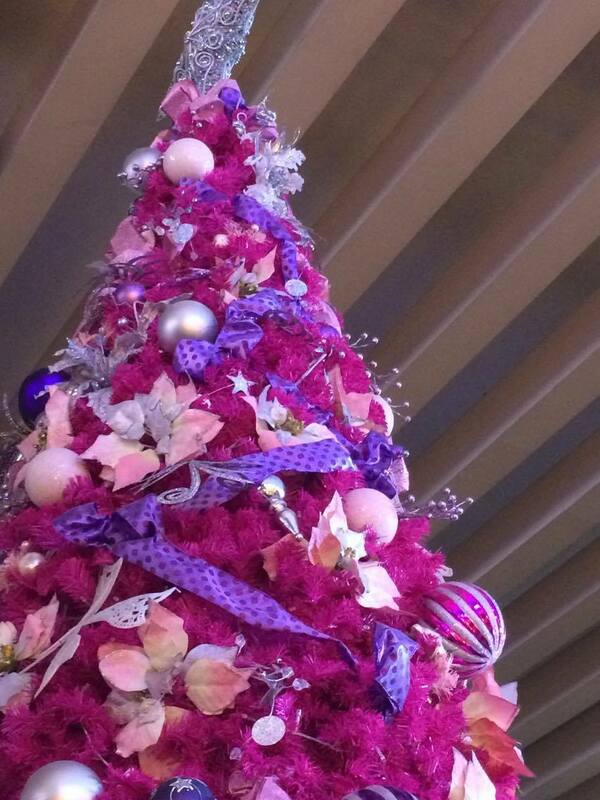 Magical with bright colors and oh so truly spectacular! 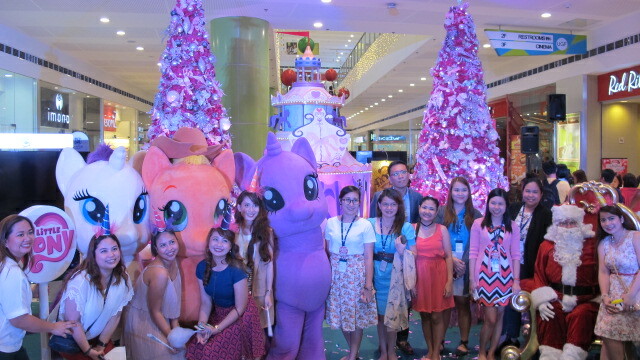 Christmas is truly here as SM City Taytay officially launched and cheered everyone with their theme Magical Holiday with My Little Pony last Saturday, November 5. 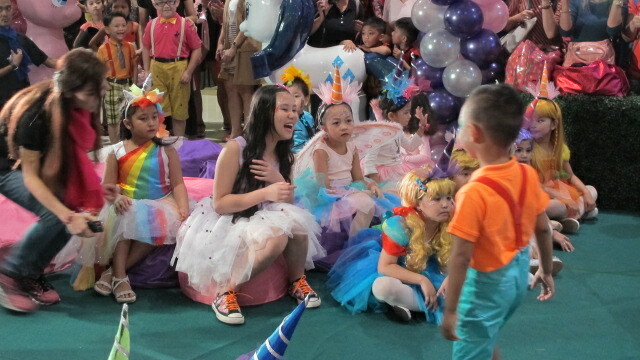 What a BIG HIT it was to children and adults alike! 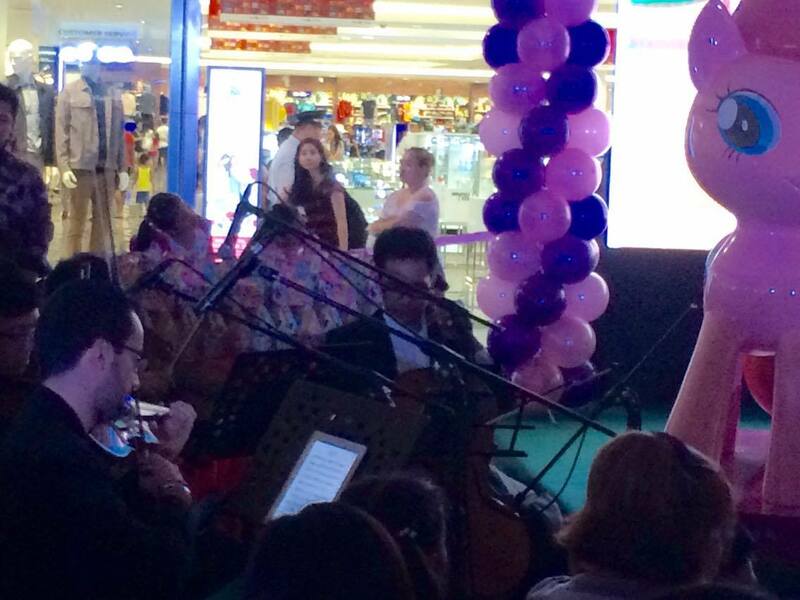 The celebration started with dimmed lights and soft, lovely music by a quartet. 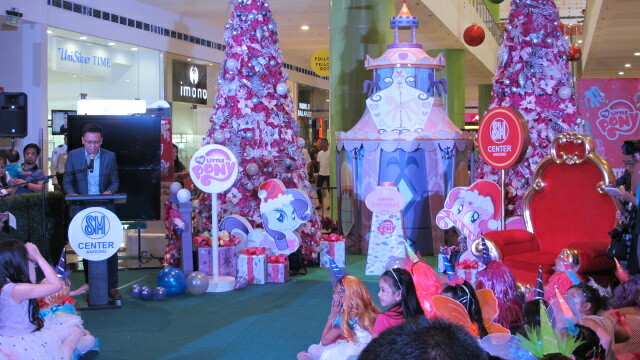 Kids were then entertained by a short video showing of My Little Pony and lively christmas songs. 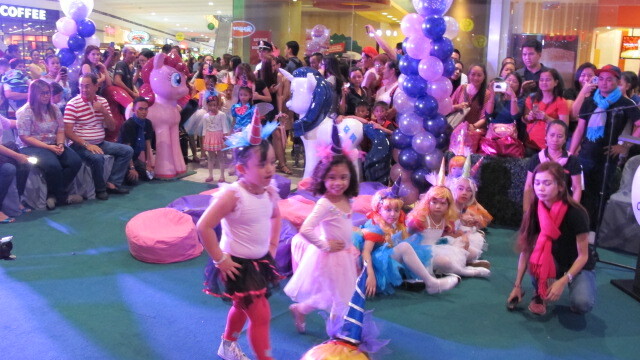 The high-energy super cute dance number by Equestria girls all the more excited everyone as they executed cute girly dance moves in their costumes. Awesome. 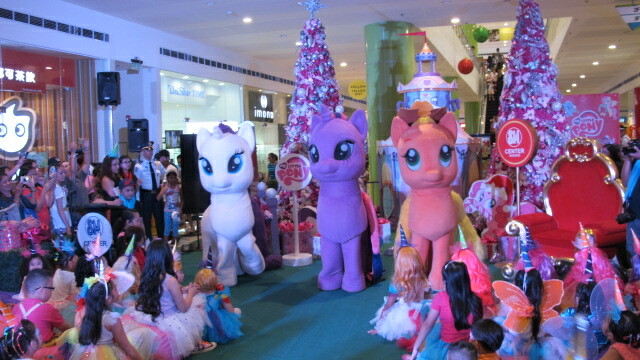 These cute ponies made an appearance and everyone loved it! Taytay municipal officials were there to grace the event and make everything official. Present were Vice-Mayor Carlito Gonzaga, Councilor Pia Cabral and Rizal District Board Member Fernando Cabitac. 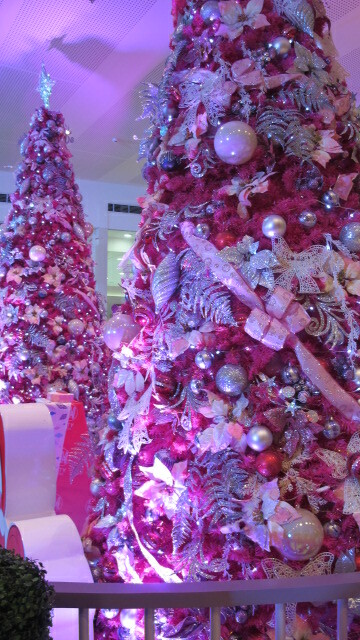 They also officially lighted the elegant centerpiece beautifully designed at the ground floor of Bldg, A in SM Taytay. With countdown, lights went up, lovely music was heard and then came lots of confetti! Super nice! Confetti everywhere as everything was lighted! Everyone cheered as Sta. 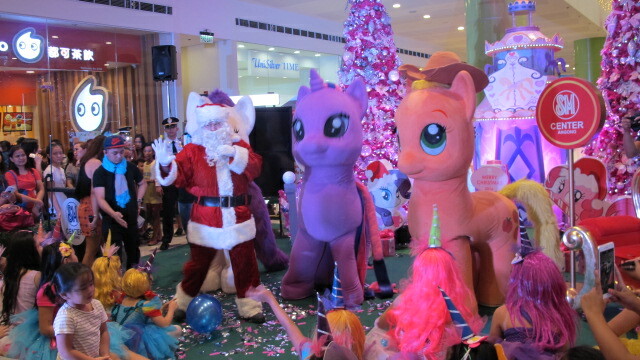 Claus gave My Little Pony bags to the children. 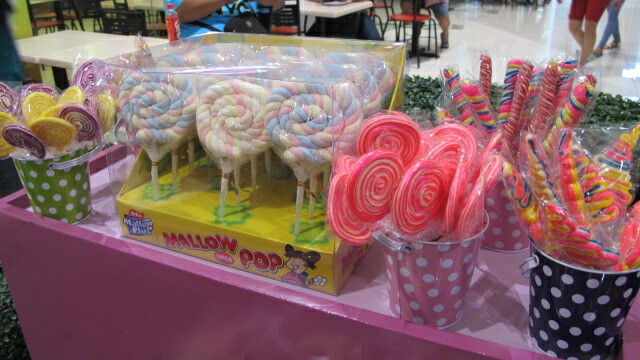 Kids were treated to special assorted candies, marshmallows, cotton candy and My Little Pony goodies! Lukas enjoyed every minute of the event and had a pic with Santa! 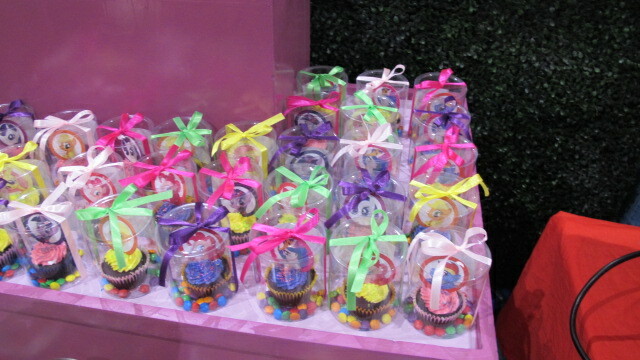 The set up was vibrant, colorful and beautifully designed. 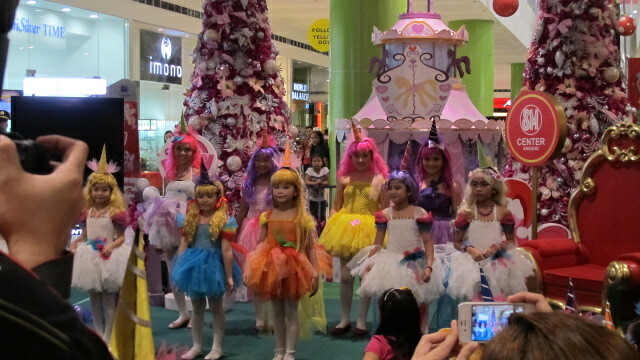 It is super appealing not just to girls but to kids of all ages and even adults! Christmas is truly here. 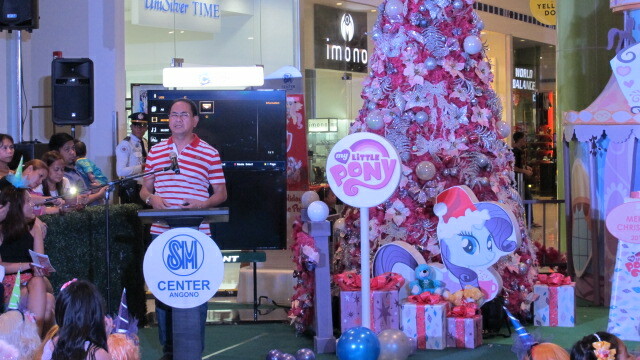 Vice Mayor Carlito Gonzaga mentioned a connection between ponies and Christmas when he gave his brief speech. Jesus indeed entered the holy city of Jerusalem, carried by a Pony! What a beautiful way to start the Christmas merriment knowing that as we celebrate Christ’s birth, we have so much love and joy to give. Thank you and congratulations to SM City Taytay team for making this event possible! 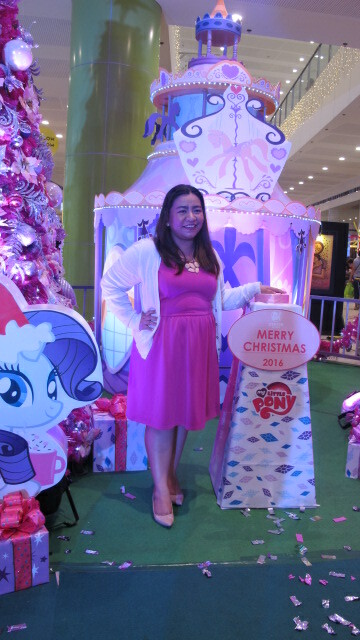 Head over to SM Taytay and feel the magical rush of the Season!